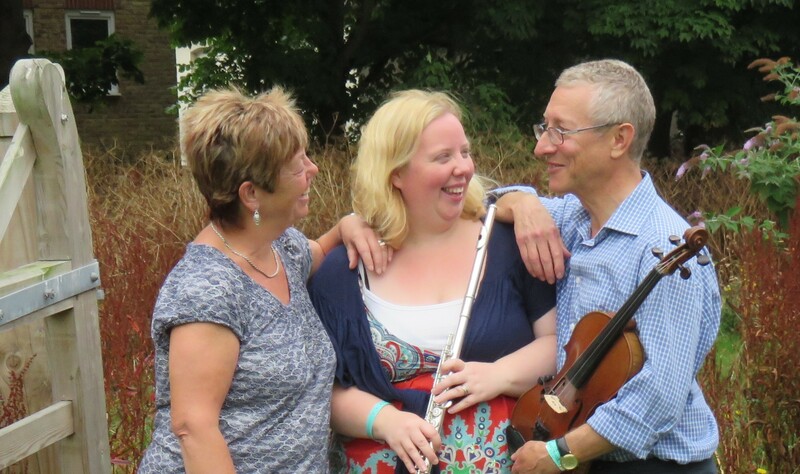 We are a folk dance band specialising in playing high energy and exciting dance music for contra dancing, although we also love playing the beautiful tunes from the English tradition. Our fiddler is Brian Stone who you can also hear on jazz guitar, Kathryn Dunphy plays flute, sax and clarinet, and Elaine Meechan is the pianist. Read and hear more about us on the next pages! Portland Drive Duo is Brian and Elaine. We can be booked for your dance, festival or club weekend if Kathryn isn’t available or if the event is too far for her to make the long trek from Manchester! We hope you will enjoy dancing to our music. Do come and say hello when you see us around the country at club dances or festivals!